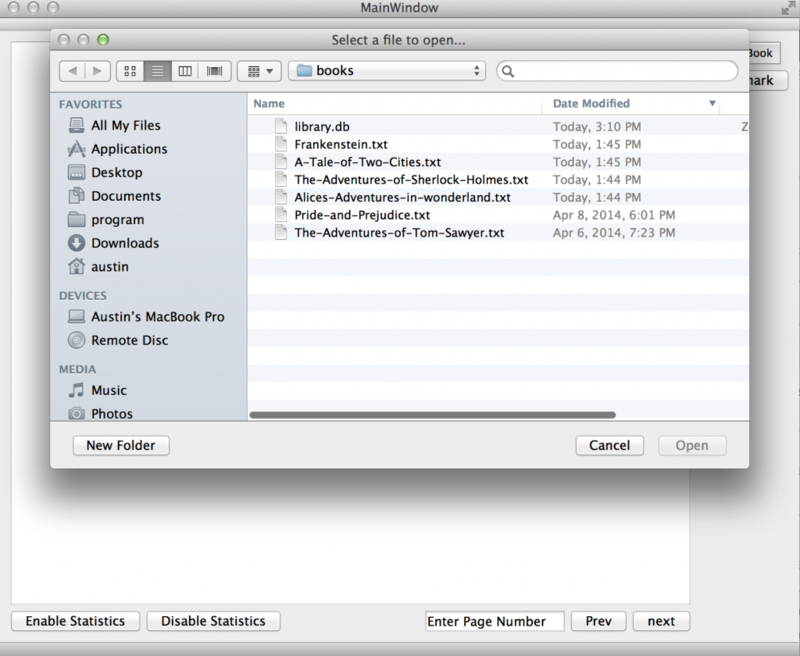 It has been a week since I started on the BasicBookReader and things are going well. I have received a few emails regarding it (to my surprise) and am glad to have some help/interested parties! This should make it much easier/nicer to search a collection of books and select the one you would like to read. Obviously, there is still a lot of work to be done and it still can only access “.txt” files, however I think it is going fairly well. I have logged roughly ~20 hours into the project and can successfully use it to read books as well as store the time required for each page. 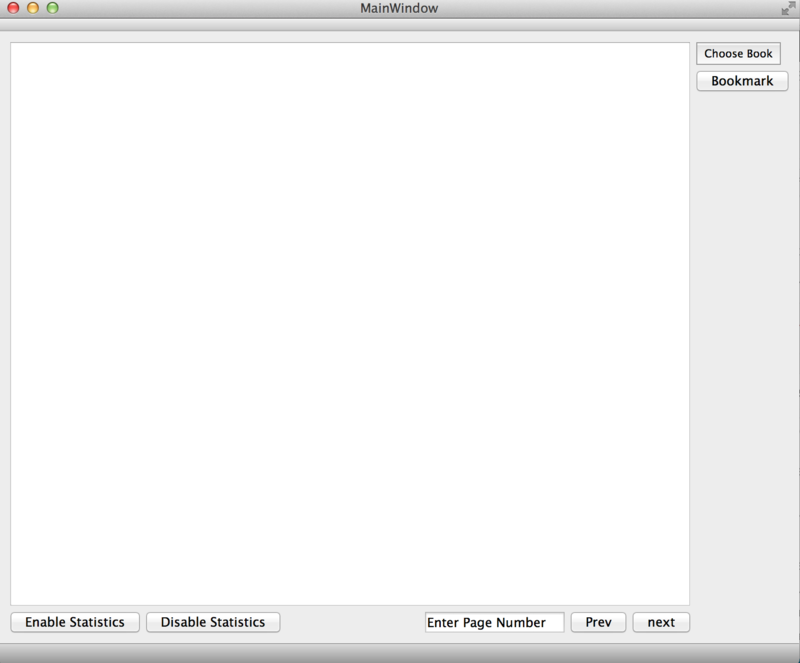 I also may add statistics tools which would allow you to view your statistics inside the application. I do not know if I like this idea since it will increase the size of the application, but it would make sense. If you would like to get involved in the project, please feel free to get in touch or simply fork my repo!